Throughout the course of the year, our school council meet regularly to voice the opinions and needs of their peers and work alongside teachers to improve school life. Any ideas that children may have can be passed onto school councillors who will discuss these at our meetings with Mr Davies. 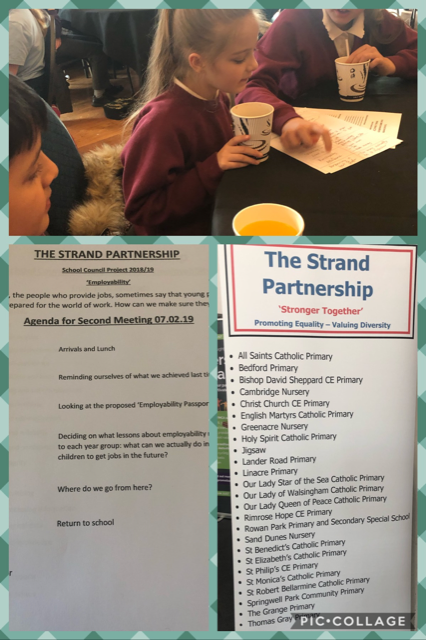 Pictured below… our school council representatives took part in the Strand Partnership today with 24 other schools to talk about ‘Employability’. 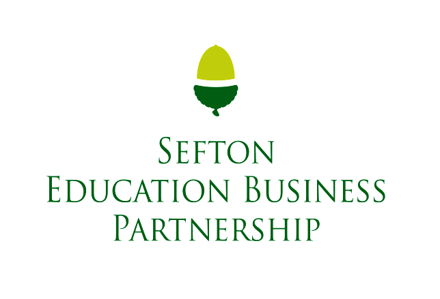 We are looking forward to making more changes in school and helping others with aspirations and skills…. In 2017 the project focused on Equality and Diversity Art Work created by pupils work was exhibited at the Celebration Event on July 5th 2018 at CLAC. In 2016 we were involved with a very exciting project working alongside STAND Partnership schools to create a virtual map of Bootle History. 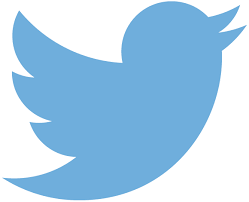 In 2015 the School Councillors raised money for the Oliver King Foundation with their aim to provide defibrillators within the local community. Oliver Passed away suddenly in March 2011, aged 12, from Sudden Arrhythmic Death Syndrome (SADS). Oliver’s parents have set up the Oliver King Foundation to help raise awareness of the condition as it can be controlled and monitored if detected. The money raised by the school contributed to the purchase of defibrillators placed in local sports centres and shopping centres etc. and assisted staff with relevant training.